As a longtime Qi Gong teacher, he realized that if he was going to progress in his movement ability, he needed to take a step back and focus on the foundations. Hip pain was not only keeping him from doing daily activities like picking things up off the ground, but it was also getting in the way of a good night’s sleep. By building greater levels of body awareness and working on the basics of primal ground patterns, he was able to fix his hip pain, improve his mobility and reconnect with the joy of movement again. With Primal Body Reboot, Lourenco was able to step back and try a completely new approach to movement, different from his training in Qigong. Through simple mobility exercises and a daily routine, he found a way to focus more on the joy of movement rather than getting so caught up in the technique. With hard work and dedication to his practice, he was able to get rid of nagging pain and feel more freedom in bending and picking things up off the ground. Something we all struggle with is getting more movement in—not just when training or working out but throughout the day. Our bodies crave lots of movement, and often times we don’t move until our back or neck is screaming at us, begging for us to get up and stretch. With Primal Body, the emphasis is on building a practice that affects and becomes integrated into the rest of your life. That way you learn how to listen to your body when it whispers, rather than just when it yells at you. As a teacher of Qi Gong it was easy for Lourenco to practice movement as a form of study and fall into technical analysis. By bringing in a practice of primal movement that focuses on exploration, body awareness and not having to do it a “perfect way,” he was able to reconnect with the joy of moving again. By practicing just for himself, he found a form of self-care by taking 30 minutes out of each day just to focus on himself. This is a big contrast to the way most people train, which often seems like a form of punishment. Most people think if you don’t feel sore and suffer in the gym, then you didn’t try hard enough. The approach with Primal Body Reboot is to learn how to move better so you can be agile and mobile well into your eighties. By allowing himself the space to move every day while staying in the process and following a proven set of progressions, Lourenco found the freedom to just be in the process. This increased body awareness allowed him to know when it was time to get up and move throughout the day, and the gain he saw in his mobility encouraged him to keep going. While there are no guarantees you’ll get the same results as Lourenco did, we do know that mobility drills focused on mindfulness helps decrease pain and increase blood flow. 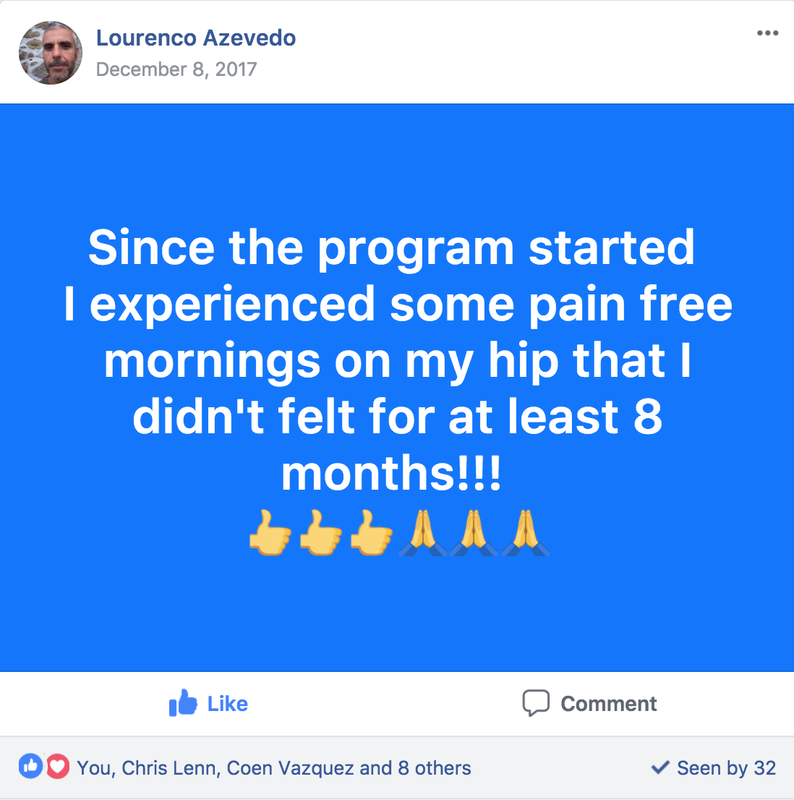 By having a program focused on the foundations of movement (the part many people skip over), Lourenco was able to settle into the process and not worry about achieving advanced movements. Through the use of developmental ground positions that help build better mobility and body control, he was able to gain greater skill in how he was using his body, all throughout the day. Using the feedback he got from me and the support he got from the community, he was able to stay consistent. By not starting and stopping and taking it slowly, the results came without too much focus on the end goal. Want to experience more freedom in your body? If you focus on mastering the basics, you’ll build a foundation of mobility and control that can take you wherever you want to go. 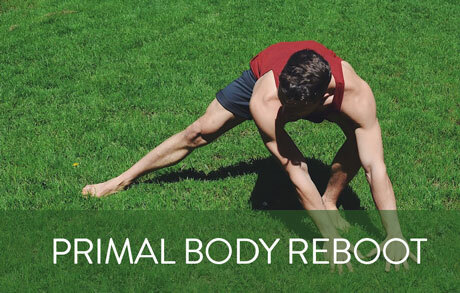 The Primal Body Reboot is a six-week program designed to help you learn how to use your body better and build habits that serve you for life. Learn more and get a free lesson here. If you want to trade aches and pains for a body that feels great to wake up in, you need to rebuild your foundations. Get our free unstoppable body plan and make your breakthrough today.